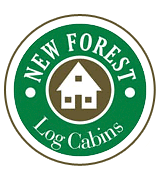 Timbers are logs taken one step further: we take the time to cut only the very best logs into structurally solid timbers. Log homes are historically “speedy” constructions consisting of hasty building and mud sealants. Stick homes are made with 2×4, 2×6 or 2×10 walls to streamline costs. Timber framing was the dominant design for home building in the world up to the late 19th century. Despite the common misconception, logs have never been a dominant building design in American history. Stick homes replaced timber homes in the early 20th century, but we’re happy to continue building in the established tradition. Timber homes use strategically-placed timbers for their structural frames, the remaining building material is made of the best in the building industry. Log homes, by contrast, consist of a lot of logs, making all the walls and supports. Stick homes have framing construction that are easy to demolish. The earliest surviving timber homes date back to the 12th century (in Europe) and are still standing today. The oldest log homes take a great deal of effort to preserve. And while stick homes are sturdier than logs, they’re not as solid as timber. Timber frame building focuses on structural elements of home building (posts, beams, trusses, etc.) Log building focuses on non-structural elements of home building (walls, insulation, molding, etc.) Stick homes focus on non-structural elements, also. Timber homes pride themselves in exposing gorgeous timber truss support. Logs are used for truss support. Stick homes cover all their lumber within its walls and keep it hidden. If you’re interested in building a log structure, we can certainly help. However, we would be happy to show you some alternatives to a traditional log built structure, such as this mountain cabin we built that has log siding put outside of a traditionally-framed home so it has all the aesthetic of a log cabin but is extremely airtight and energy efficient.